I shall be receiving a dose of attitude adjustment, courtesy of a charming PC from the Thames Valley force, who couldn't believe his luck when he set off for his shift only to find me waiting to enter the car park - with my mobile phone pressed to my ear. The fact that my car was moving at less than walking pace is, of course, irrelevant. He was such a nice chap, I do hope I contributed in some small way to him hitting his monthly targets. Anyhow, now I'm an enemy of society, I clearly need remedial treatment, which will be meted out in a [highly profitable] training session involving the use of dubious statistics and unsavoury photographs of RTA victims. If I appear suitably repentant, I will apparently be allowed my driving licence back, without the 3 strokes of the cane points I so richly deserve. Meanwhile, the chap down the road who located his stolen van in an encampment of wheeled-homed-folk is still waiting for police to respond to his call. They needn't bother. It mysteriously burned to a crisp the other night. DCI Gene Hunt was unavailable for comment. The RSPB's Mark Avery, who sits on the Defra Lead Ammunition Group, makes some interesting comments in response to my blogging on lead shot. The RSPB has been trialling non-lead (actually copper) bullets for deer control on its reserves for a couple of years, with promising results. There's a scientific paper on the subject here (pdf). In fact, the results aren't quite as rosy as Mark suggests. Copper bullets in .270 calibre seem to do a good job on roe and red deer. But in southern England, shooting sika with a .243 (the most common deer rifle calibre - and I've just gone and bought one!) the figures show a significantly increased risk of wounding, even with a perfectly placed chest shot. The paper goes on to imply we should all switch to head shots, as if that was the simplest thing in the world. Hmm. As you can tell, I'm still not 100% convinced - but at least we have some real UK-based scientific evidence, presented (relatively) impartially, and out in the open for all to discuss. 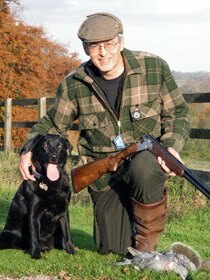 By contrast, I was surprised to see BASC's Dr John Harradine fulminating in Shooting Times this week at last week's article by Tim Woodhouse on the efficacy of steel shot. I'm sure Tim, like me, would cheerfully admit that he's fallible. But I know he holds the truth in high regard, and in proper scientific fashion he welcomes any challenge to his ideas. For Harradine to launch an ad-hominem attack in a public journal does him and his organisation a disservice. Harradine seems to feel he has evidence that steel shot is really rather good, although I've heard doubts expressed about the validity of his tests. Woodhouse believes that steel has severe practical limitations, making it a less than adequate substitute for lead in many types of shooting as we know them today. What we're sadly lacking here is proper, independent scientific research carried out under UK conditions and properly peer reviewed. Without it we're guessing. At the risk of being slated for 'misinforming' and 'prejudicing' the shooting public, to my simple mind it seems likely that Harradine's view of steel's efficacy will be the 'official' BASC view presented to the Lead Ammunition Group. If it turns out that view is over-optimistic, it won't do shooting any favours. We need to make sure the group's decision is based on solid science, and I'm far from convinced that science exists at present, at least in the area of the efficacy of 'non-toxic' alternatives to lead-based shotgun loads. Perhaps it's time to commission some science we can all trust and believe in. Keen fieldsportsmen Jay, Mick and Will take a break from their duties to browse through copies of Sporting Shooter which we sent out a couple of weeks ago. The camera-shy trio are ex-Army, and now working for one of the private security companies out there. Special thanks to Rob Collins of Woodspring Pigeon Shooting & Wildfowling Club for helping us to do our bit to support our Forces and ex-Forces personnel overseas. Of course we knew it already, but it's good to have it confirmed by 40 of Britain's leading scientists in a book so important it's being called "the Domesday book of British wildlife". 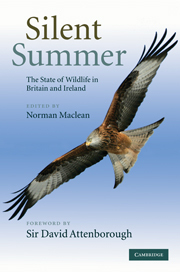 Silent Summer provides a complete picture of Britain's wild animals and plants, charting the decline of many of our farmland birds, hares, voles, butterflies and other insects, due largely to the sweeping changes in farming and loss of habitat since 1957. Sir David Attenborough says in the foreword: "This book... gives us a benchmark. It is invaluable now and in the future it will be irreplaceable." And "controversially" Robin Sharp, Chair Emeritus of the International Union for Conservation of Nature, says that "field sports ... have been almost universally good for the hunted species and the non-hunted, non-predators that thrive in the same habitat". "...those who hunt and / or shoot provide significant conservation benefits," he says, going on to call on hunters and shooters to make more effort to explain the benefits of their activities to conservationists, policy-makers and the public. "Overwhelmingly the target species for field sports have fared well over the last century ... More game-keeping, game crops and habitat management would undoubtedly achieve even more." Something you might want to point out next time some animal rights numpty is whining on about saving the planet by going vegan and banning everything in sight. The Telegraph published an excellent review of the book here. John Swift chair of Lead Ammunition Group said “Our Group held its first meeting today. There was a constructive exchange of views on working practices that will be needed to carry out the tasks set out in the Group’s terms of reference. The Group was in full agreement with keeping public stakeholders fully informed. This process is still at a very early stage and the Group has a full year before making a progress report to Defra and the FSA. The first step is to look closely at the evidence, conduct a risk assessment before deciding what steps if any need to be taken. The group plans to meet again in a month’s time. You will be able to keep in touch with the work of the Group and express your opinions by means of a Group website shortly to be created. The whole issue of having a group at all, never mind BASC's involvement in it, has been highly contentious. It's split shooting down the middle, and led to some unkind things being said and written. Behind the scenes, shooting's 'old boy network' has gone into overdrive. The feeling seems to be "you're either with us or against us" - with "us" depending on who you're talking to. All of which leaves journalists like myself in a difficult position. If you try to report the facts honestly and openly, you risk being attacked - whether for 'encouraging a ban' by even mentioning the fact that there are alternatives, being a dinosaur by suggesting that we might resist a ban, or simply 'stirring it up' for one's own perverse personal pleasure (apparently that's what journalists do!). For what it's worth, and this is purely my personal view, I don't think we'll be shooting lead in 20 years time. Probably not 10 years. And I think we'll all have got used to it and shooting will be strong and healthy regardless. There, that's just lost me a couple of hundred friends for starters! 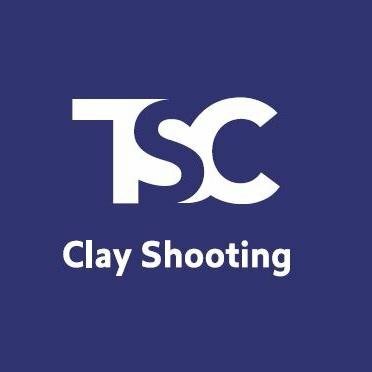 This is probably the most important issue facing shooting right now, and will be for some time to come. So as a shooting journalist I can't ignore it. I'll do my best to report what's going on honestly and fairly. And when I'm giving a personal opinion I'll make that clear. So I suppose I shall be annoying those people who think that if we stick our fingers in our ears and go 'La la la' it will all go away. Ah well, you can't please everyone all the time - specially where lead shot is concerned. I love Jonathan Pointer's intense, colourful and detailed portraits of game birds - and I'm always fascinated by the detail in the surroundings. He must spend hours painting every little leaf and flower, getting them not just botanically perfect, but correct for the time of year too. The video above is released to promote his upcoming exhibition at the Jonathan Cooper gallery in Chelsea - well worth a visit if you're in London between 20 May and 5 June. It's been a bit quiet on the blog lately - I've been busy with this and that, not least trying to write something meaningful for the magazine about the huge fuss over BASC's involvement in the new Lead Ammunition Group. More on that in another post, perhaps. Meanwhile, I've also spent a couple of nights sitting up waiting for foxes, with an interesting chap called Gary who lives close to a motorway in Essex. Over the past few months he's shot 156 foxes at this one spot - from the bedroom window of a shepherd's cottage. The first night we saw a couple of foxes, but they didn't come in to the bait he'd laid. Back again a few days later, this young vixen appeared and... well, watch the video and you'll see (he fires at 1:05). You can read all about Gary and his foxshooting in next month's magazine - the 'June' issue, which goes on sale on 5 May. Those sentimental bunny huggers at the LACS are desperately trying to trivialise the election, to the point where they are actually telling their supporters to go round with glove puppet foxes, to do the 'Hello Mum' thing behind candidates being filmed or photographed. Apparently this will undermine the serious messages that Conservative candidates are trying to put across, and put foxhunting at the top of the political agenda. Oops! Did I say Conservative? After getting their knuckles rapped by the Charities Commission, the LACS are pretending they are totally neutral about who you vote for, just so long as they aren't posh want to keep the Hunting Act. Please would all readers of this blog make the utmost effort to sneak a stuffed toy fox, fox glove puppet, etc, into any photo opportunity by any politician, perhaps even dress up as a fox yourself - by way of showing your support for the Repeal of the ludicrous Hunting Act. Countryside Alliance spokesmen will henceforth be issued with soft toy foxes, to be used in all interviews and photo opportunities. UPDATE: Ho ho, rapid re-think by LACS - apparently I "fell into their trap". Takes me right back to the playground.